I share with your excitement because about 19 years ago, I too, had the same feeling. Living in Canada was a dream come true for me. This was the country that would open so many opportunities for me. And it did. And altho I now live in the US due to my marriage with my Filipino-American husband, I will still consider myself, always, a true Filipino-Canadian. Half my family is in Canada and a third of my friends live there that I will have all the reasons to fly back. And whenever I am in Canada, that new and exciting feeling comes back to me. There will be nothing like it! So these series of posts are dedicated to you, the new arrivals. You might be in Canada for work, or were sponsored by a loved one, or have migrated. Living in a new country can be a little intimidating and daunting at times, but you’re resilient. You will happily survive. And with these facts and tips on how to get by in your first few days you will be off to a better start. 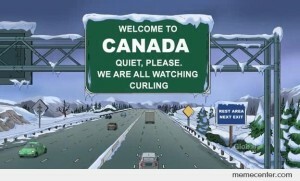 Let’s start with a few facts about Canada in general. Because, as a Canadian, these are important to know. Canada is located in the northern part of the North America continent. It extends from the Atlantic Ocean in the east to the Pacific Ocean in the west and northward into the Arctic Ocean. Canada is the second largest country by total area and the common border with the United States to the south and northwest is the longest in the world. As of the end of 2014, there are about 35,750,000 people in Canada. The province of Ontario has the biggest population with almost 14,000,000 and Quebec province has almost 8,500,000. Alberta, is in 4th place with 4,121,000 following British Columbia, which ranks 3rd, with 4,631,000. The official languages are English and French. It would be nice to know some phrases in French like Bienvenue (Welcome), Merci (Thank you), Bonjour (Hello), Excusez Moi (Excuse Me), Pardon (Sorry), Au Revoir (Good Bye), S’il vous plait (Please) and Où sont les toilettes? (Where is the restroom?). But if you can’t, that’s not a problem. A lot of Canadians only speak English and not unless you’re in Quebec, you don’t need to know a lot of French. Ooooh, but it still feels so exotic to say Je m’appelle Gigi (My name is Gigi). Canada’s government system is called a Parliament System within the context of a Constitutional Monarchy based on the United Kingdom. 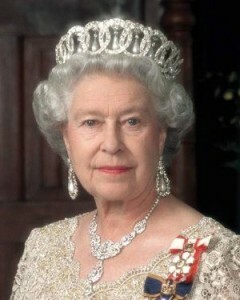 We recognize the Queen (or King) of England, right now, Queen Elizabeth II, as the Head of State. The Prime Minister of Canada, currently, Stephen Harper, as the Head of Government. Ottawa, Ontario is the capital. Canadian drivers drive on the right hand side of the road. The national anthem is “O Canada“. The Royal Anthem is “God Save The Queen“. Canada has ten (10) provinces and three (3) territories. The provinces are Alberta, British Columbia, Manitoba, New Brunswick, Newfoundland and Labrador, Nova Scotia, Ontario, Prince Edward Island, Quebec, and Saskatchewan. The territories are Northwest Territories, Nunavut, and Yukon. There are six (6) separate time zones: Pacific Time Zone, Mountain Time Zone, Central Time Zone, Eastern Time Zone, Atlantic Time Zone, Newfoundland Time Zone. So if you’re eating bagels at 9:30 am in Whitehorse, Yukon; it’s already 2:00 pm in St.John’s, Newfoundland, and they have probably had lunch by then. The national colors are red and white, just like the flag, two vertical red stripes on opposite sides, white stripe in the middle with a red maple leaf in the center. So, of course, the national tree is the maple tree. And we are the largest producer of maple syrup. 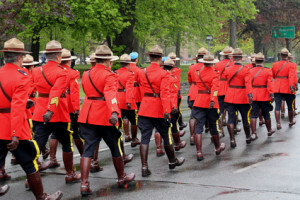 Those gorgeous guys and ladies in red on horseback are the Royal Canadian Mounted Police, also known as the RCMP or the Mounties. They are the Canadian national police service and an agency of the Ministry of Public Safety Canada. The most talked about sport is hockey and Alberta has 2 teams playing in the National Hockey League (NHL), the Calgary Flames and the Edmonton Oilers. The money is Canadian Dollars (CDN). A $1 coin is called a ‘loonie’, a $2 coin is a ‘toonie’. It is frowned upon to call the Aboriginal Peoples “Indians”. They are called First Nations. Canada Day is celebrated every July 1. There is so much more to talk about your new home. So be sure to come back for another lesson next time! And as I say goodbye for now, here is the Canadian National Anthem to get you inspired in your new life journey.